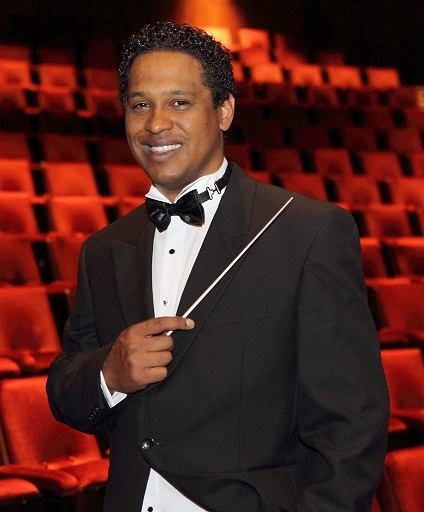 Conductor Brandon Phillips makes his bow on the KZN Philharmonic Orchestra’s podium with a programme of 19th century German and French repertoire on June 14, 2018. Soloist Alexander Buzlov will perform Lalo’s Cello Concerto while the programme also includes works by Schumann and Brahms. Robert Schumann began work on his only opera, Genoveva, toward the end of a period of intense depression, due to the fact that he was not offered the directorship of the Leipzig Gewandhaus. In 1844, the composer and his concert pianist wife Clara moved to Dresden, where his depression eventually moderated and he began work on a number of compositions, including Genoveva. First performed in 1850, it failed to hold the stage and was withdrawn after just four performances. The work’s Overture, however, went on to find a place on the concert circuit and makes a welcome appearance here as our curtain-raiser. Though a Frenchman, Édouard Lalo (1823-1892) was of Spanish descent. As with his more famous warhorse for violin and orchestra, Symphonie Espagnole, Spanish influences strongly infuse Lalo’s Cello Concerto in d minor. Written in 1876, the work premièred the following year at the Cirque d’Hiver with the Belgian cellist Adolphe Fischer as soloist. The exciting work’s expressive moods and exotic charm come alive in the hands of a master, as our audience is sure to note when it is performed by the renowned Russian cellist, Alexander Buzlov. Brahms’s Symphony No 3 was written in the summer of 1883 at Wiesbaden, nearly six years after he completed his Second Symphony. In the interim, Brahms had written some of his greatest works, including the Violin Concerto, the Tragic Overture and Academic Festival Overture and his Piano Concerto No 2. The Third Symphony’s première was given on December 2, 1883, by the Vienna Philharmonic Orchestra under the direction of Hans Richter. It is the shortest of Brahms’s four symphonies, typically playing between 30 and 40 minutes. Friends of Music hold pre-concert lectures in the Playhouse Alhambra Room at 18h15. These enlightening talks are designed to enrich the experience of the concertgoer. The concert takes place at 19h30 on June 14, 2018, in the Playhouse Opera. Booking is through Computicket (0861 915 8000). For further information contact bookings@kznphil.org.za or +27 (031) 369 9438.